There are many different types of irrevocable trusts. Each type of trust will service a different purpose and have different rules and benefits. Here is a list of some of the most common types of irrevocable trusts set up for asset protection. These are complex legal issues that require the expertise of a seasoned attorney. A popular long-term care planning option used by many elder law attorneys is the Medicaid (or VA) Asset Protection Trust (MAPT). We have drafted hundreds of these types of trusts over the last 12 or 13 years. This is one of our major areas of expertise. If you are interested, call today to see if this type of planning is right for you. MAPT’s and VAPT’s are designed to maintain as much control in the Trustmaker as possible, while still protecting assets from the cost of long-term care. 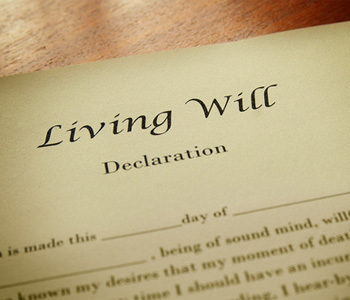 For example, the Trustmaker may sometimes be able to be the Trustee, retain an income interest, and have the right to change who gets the assets after his or her death. These trusts also contain sophisticated income and capital gains tax provisions that allow the Trustmaker to transfer highly appreciated assets into the trust for protection, while still preserving personal residence exemptions on a residence and basis step up at death. In other words, any opportunity to wash away capital gains tax liabilities that existed prior to the trust, is still available with the Trust. MAPT’s and VAPT’s can be used to prepare for the risk of a future long-term care crisis or to protect assets when you are already in the crisis. With preplanning we are using the trust to begin the five-year Medicaid clock while you are still healthy. When you are already in a long-term care crisis, we use these trusts for VA Pension eligibility and sometimes as part of a Medicaid spend-down plan. If you are looking for this type of trust, be careful to use a law firm that has experience with them. They are highly sophisticated vehicles that must be drafted by someone who understands the complexities of public benefits law, tax law, and asset protection law. In many cases we have had to fix the problems created by attorneys who drafted these trusts without sufficient understanding. Many people with disabled children believe the only way they can provide for them is to disinherit them and give their share to another of their children. However, this creates many problems. What if the non-disabled child also becomes disabled or dies? What if the non-disabled child goes through a divorce, does not take good care of the funds, or gets sued by a creditor? What if the disabled child dies? In all these cases, the disabled child’s funds could be placed in jeopardy. There is a better solution. It is called a Third Party Supplemental Needs Trust. These trusts are created by a parent (or other third party) on behalf of a disabled child (or other beneficiary). These trusts manage the disabled child’s funds while not interfering with their benefits. Supplemental Needs Trusts are wonderful tools that allow a parent to leave behind instructions and structure to continue the care they are no longer able to give to their disabled child. These trusts do not require anything to be paid back to the state after the disabled child’s death, so all funds in the trust go as directed by the parent. Self-Settled Special Needs Trusts are used to protect assets due to a disabled person who is under the age of 65. Imagine a situation in which you have been seriously injured in a car accident because of someone else’s negligence. You may be receiving a large sum of money. However, you are on Medicaid and do not want to lose that benefit. If you were to receive these funds you would be disqualified. A Self Settled Special Needs Trust (SNT) could be set up to receive your award on your behalf. While you live you can supplement and improve the quality of your life with the funds in the SNT and still maintain Medicaid, SSI, and housing benefits. However, after your death this type of trust must repay the state for expenses they have incurred on your behalf. This is called a pay-back provision. This type of trust must be set up and funded before the money comes to the disabled person. In many cases, it will require court involvement and should be approved by Medicaid prior to funding. Many irrevocable trusts are used to protect assets from estate taxes. Two popular estate tax planning trusts are Irrevocable Life Insurance Trusts (ILIT’s) and Intentionally Defective Grantor Trusts (IDGT’s). ILIT’s are designed to hold a life insurance policy so that when the proceeds of the policy are paid to the trust, they are not part of the Trustmaker’s estate. The proceeds can then be used for many different purposes such as to offset estate taxes or equalize inheritances when there is a family business, a farm, or some other large asset going to one of the beneficiaries. Each year, contributions are made to the trust as tax exempt gifts in the name of your beneficiaries to pay the premiums on the life insurance. IDGT’s are trusts that allow you to use your annual exclusion gifts on behalf of children, grandchildren, and other potential beneficiaries without actually giving them the assets. These trusts are “defective” for income tax purposes which means that, as far as the IRS is concerned, the trust is irrelevant for income tax purposes. As a result, all taxes due on the assets of the trust can be paid by the Trustmaker out of his or her own personal funds. This allows the Trustmaker to remove even more assets from their estate while the trust assets grow without tax drawdowns. IDGT’s also “freeze” the value of your assets for estate tax purposes because any growth that takes place on the assets after transfer to the trust is outside your estate. As you can see, all of these issues require an attorney with the skill and expertise to handle complicated legal, tax, and estate planning situations. The ElderCare Law Firm Inc. would love to assist you in navigating the complex legal landscape of asset protection trusts. Get in touch with us to learn more about our asset protection trust services.